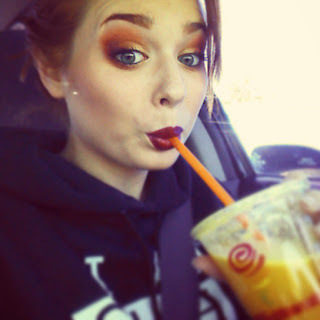 Unique-Desire: Jamba Juice: Pumpkin Smash! The Pumpkin Smash is an awesome blend of Pumpkin, Cinnamon, Nutmeg, Frozen Yogurt and Soy milk. 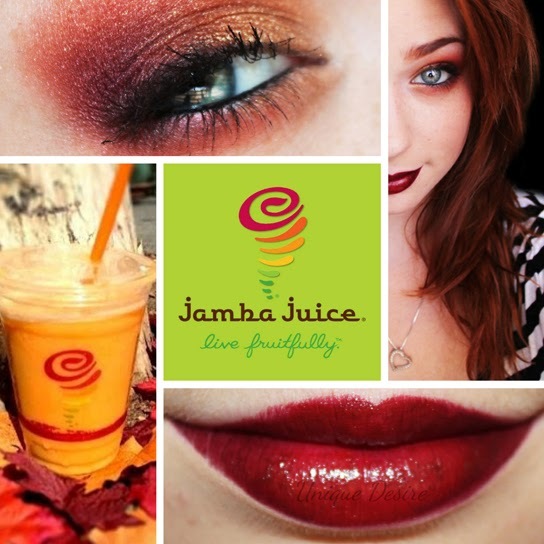 All the things you love about fall blended right into a perfect clear cup, tastes like pumpkin pie! Thick and creamy and delicious! I figured since fall is upon us, now would be the perfect time to tell you about this smoothie and to take advantage of some delicious fall inspiration! I hope you like it! Also, this is my first look featuring the red hair, what do you think?? Stunning as always! I love the combo you used! And your hair looks awesome! Love your hair, and seriously... your eye color is to die for. Thank you so much Alicia, I appreciate it!